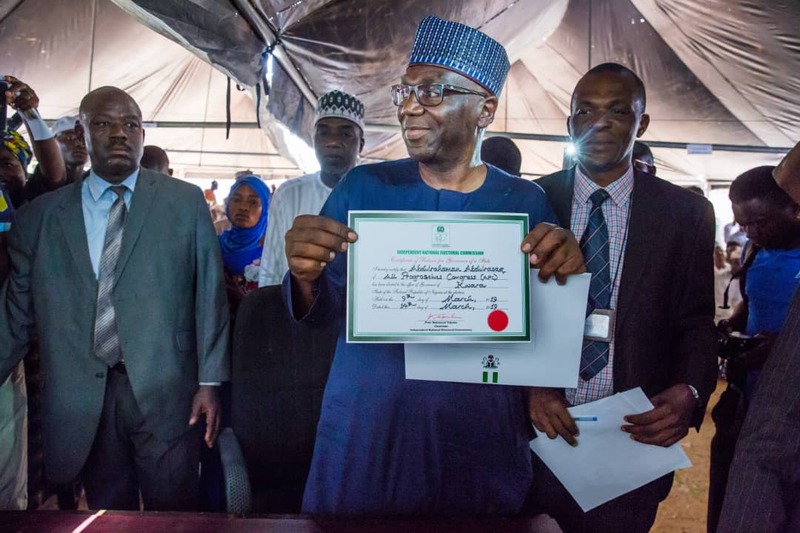 The Kwara State Governor-elect AbudulRahman AbdulRazaq today received his certificate of Return from the Independent National Electoral Commission (INEC). Just days after bidding the business community farewell to take over the mantle of leadership and reposition Kwara State back to a path that will work for all, the Governor-elect is back to the country in preparation for his administration smooth take off. Alh. Abdulrahman who was flanked both sides by supporters and members of the All Progressives Congress in Kwara State arrived the INEC office looking energetic and smart with smile beaming from the cheeks of everybody present. It will be recalled that AbudulRahman was elected governor in a fashion that traumatized the ruling party and punctured the not-too famous dynasty that has grounded the state for decades. Also present at the certificate presentation are the National Commissioner of INEC Alh. 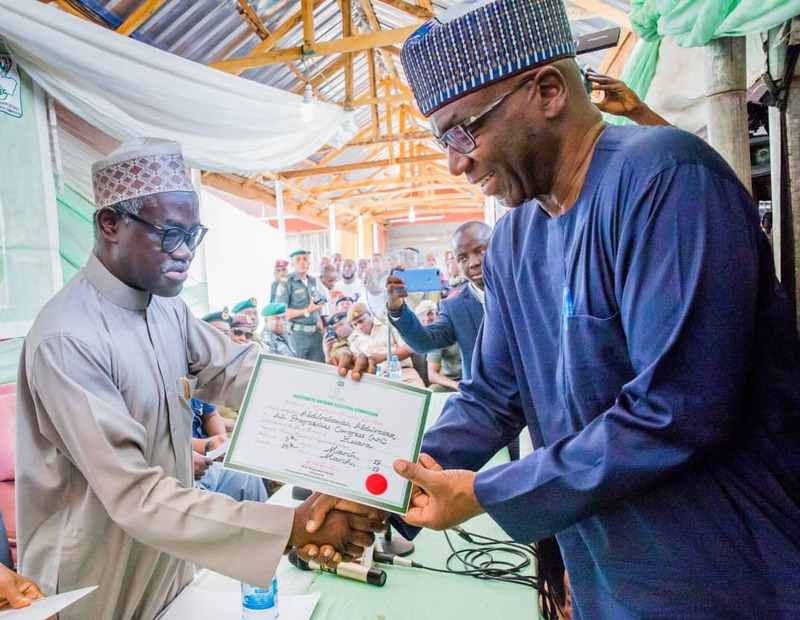 Muhammad Kudu Haruna, Kwara REC Mallam Madami Attahiru Garba, the representatives of Fire Service, NDLEA, Immigration Service, Prison Service, NSCDC, Kayode Egbetokun the Kwara state Commissioner of Police, the Kwara APC Chairman Bashir Omolaja Bolarinwa amongst other dignitaries. 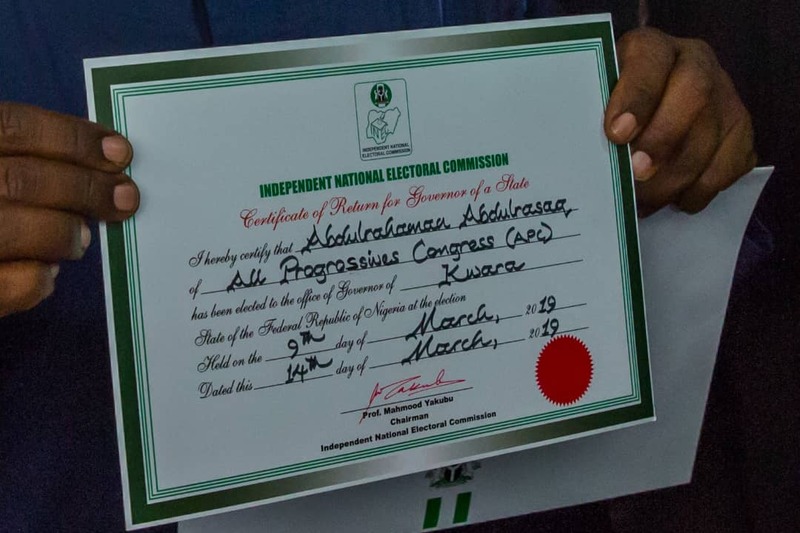 In his words, AbdulRahman thank God for granting him and his party success at the poll, he also thanked the electoral body for providing a level playing ground for all political parties to show and campaign to woo the electorate to their side. He furthermore praised the security operatives for providing adequate security during the election and promise to collaborate, support and work with them upon assumption of office. 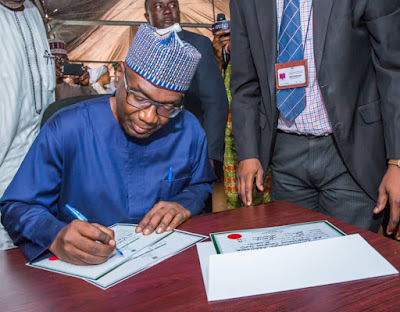 While speaking at the event, the Kwara State REC congratulated the newly elected political officials that will paddle the ship of the state for another four years. Speaking on behalf of all the elected state house of assembly members, Hon. Olawoyin congratulate the party for the success at the poll and also promise to work harmoniously for the greater benefit of the state.